I am so looking forward to summer, can’t wait for picnics and BBQs, eating dinner outside, hiking, farmer’s market at their peak, cooking with the kids and all those fun summer activities. We eat salads year round, but some of the best salads are the summer ones. The selection of vegetables and fruits during the summer is amazing, it’s impossible to take a trip to the farmer’s market and not be inspired to use the ingredients to prepare something delicious. 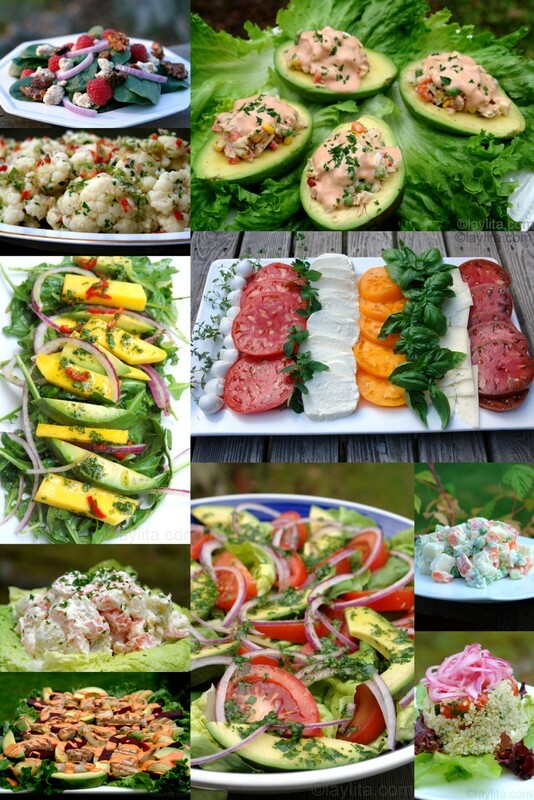 These salad recipes are some of my favorite summer salads. You can make these salads year-round, but they taste even better during the summer. 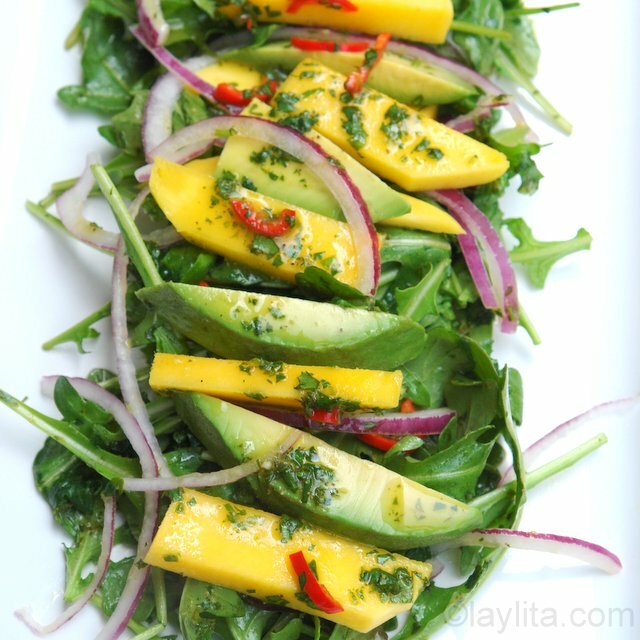 1) Mango avocado salad – Arugula salad with mango, avocado and red onions tossed with spicy orange vinaigrette. This salad is great on its own or can also be enhanced by adding grilled shrimp or grilled chicken (or grilled anything). 2) Grilled pork salad with beets and goat cheese dressing – This salad can be made partially using your grill. It has grilled pork strips, roasted beets, fingerling potatoes, grilled onions, and avocado slices on a bed of lettuce and drizzled with a bell pepper, paprika and goat cheese dressing. 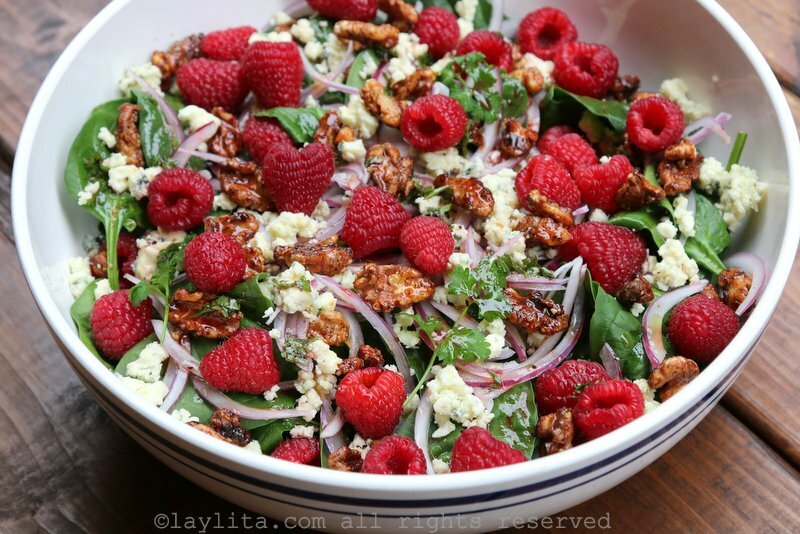 3) Spinach raspberry salad – Easy to make salad with spinach, raspberries, gorgonzola, and honey roasted walnuts with a raspberry vinaigrette. 4) Spicy cauliflower salad –This cauliflower salad has a spicy shallot vinaigrette made with Anaheim peppers (or jalapeños depending on how spicy you like it), shallots, champagne vinegar, garlic and cilantro. 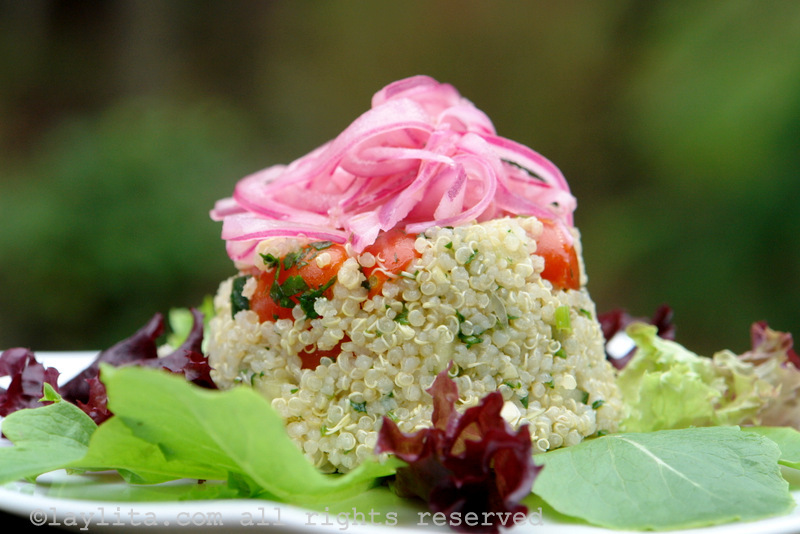 5) Quinoa salad with pickled red onions –This tasty & healthy salad is made with quinoa, cherry tomatoes, cucumbers, green onions, lime juice, olive oil, cilantro, salt and pepper. It is served on a bed of salad greens and topped lime marinated red onions. 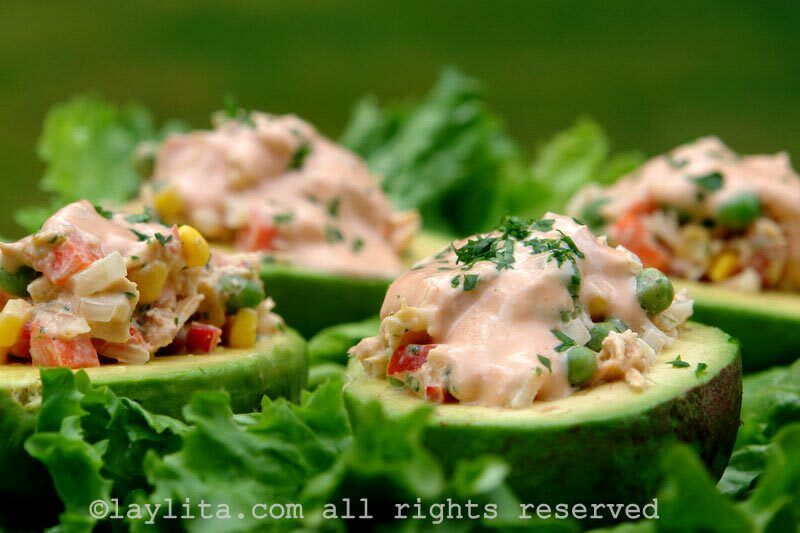 6) Stuffed tuna avocados – Avocados stuffed with tuna salad made with peas, corn, carrots, hardboiled egg, tomato, parsley, and salsa rosada dressing. This salad makes everyday ingredients look impressive. 7) Ensalada rusa or Russian potato salad – This is a classic potato salad that has many variations in Latin America and Spain. 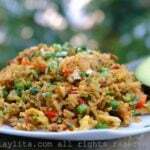 I make it with potatoes, carrots, peas, apples, celery, onion, and mayonnaise. 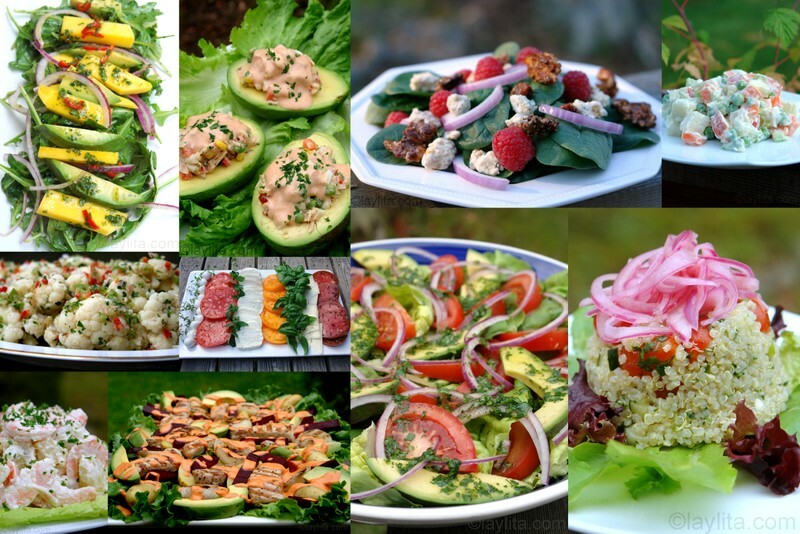 8 ) Garden salad with cilantro lime dressing – My family’s version of a house salad. 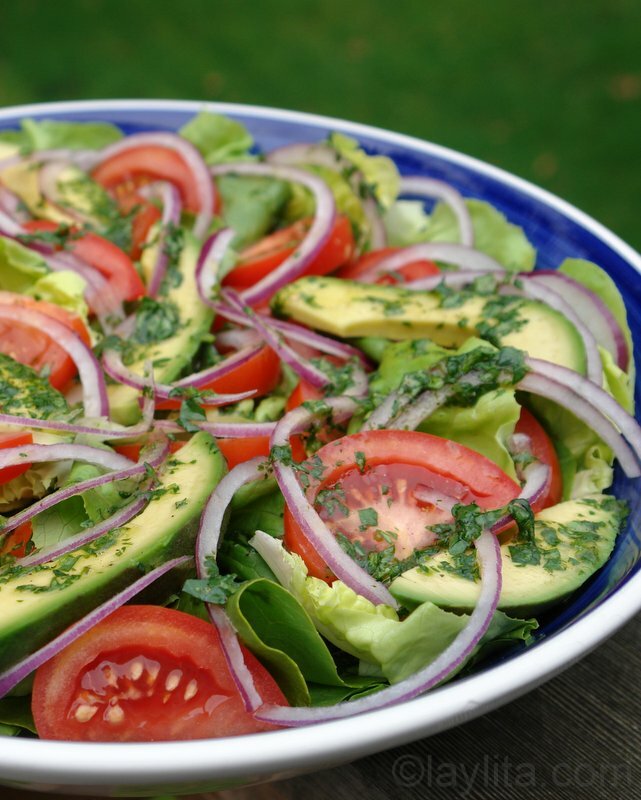 This simple and refreshing salad is made with lettuce, tomato, onion and avocado with a lime cilantro dressing. 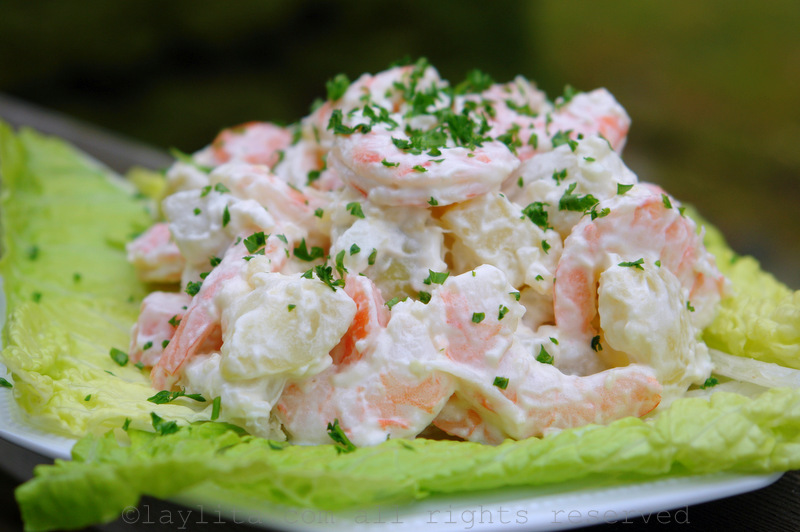 9) Shrimp potato salad – South American potato salad with shrimp, carrots, onion, garlic and mayonnaise. 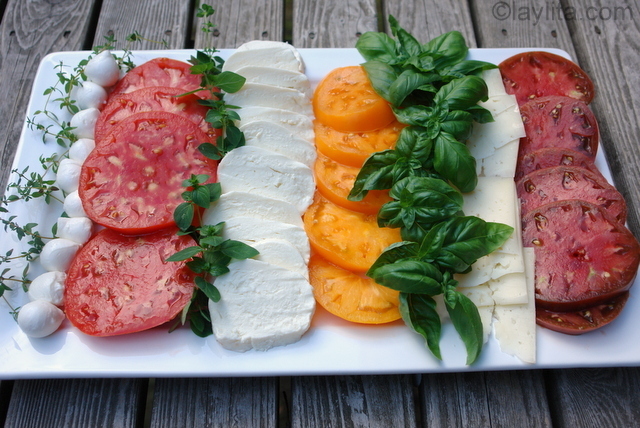 10) Tomato salad platter – A mix & match tomato and cheese salad platter with fresh basil, oregano and thyme served with olive oil, balsamic vinegar and bread. I have been cooking from your recipes all summer. Love all the flavours, colours and the awesome presentation! Such exciting food. Hi Laylita, I absolutely love your website. My husband is from Ecuador and I always use your receipes. I was wondering if you could help me decide on a menu. Our son is turning 1 years old in August. We are having a BBQ and of course my husbands whole family will be here…do you have any recommendations that would be good for a BBQ. For some appetizers to eat while you wait for the grill to be ready, you can make some empanadas ahead of time. I also love to serve shrimp ceviche as an appetizer for any party. Carne en palito or meat on a stick – you can also use the same marinade for thin slices of chicken on a stick as well as for shrimp skewers. You can also make some pinchos de atun with salsa verde. Some other classics for an Ecuadorian BBQ include grilled corn and grilled ripe plantains (stuff with cheese when done). You can also grill some summer vegetables (squash, eggplant, peppers, etc). Serve the meats and veggies with sauces such as aji criollo, aji de tomate, salsa de mani, chimichurri sauce, cilantro mayonnaise, cebollas encurtidas. 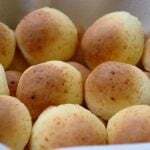 A great Ecuadorian side dish that you can make ahead are llapingachos, then use a flat pan to get them crispy on the grill. You can also grill some chorizo to serve with these. For salads, the Russian potato salad shown above is a great option, as well as a refreshing lettuce garden salad. For drinks, some lemonade (regular or strawberry) or some chilled colada de avena. For dessert, a come y bebe fruit salad (or turn them into popsicles for the kids) or a pineapple flan (can also be made ahead and ready in the fridge) with grilled pineapple slices.